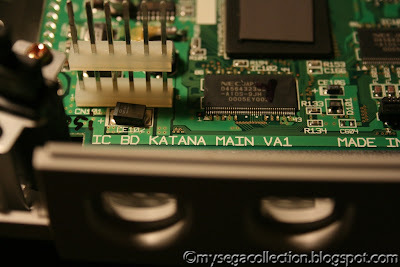 "katana" inscribed on the motherboard. The katana was the Japanese version of the Dreamcast prototype. 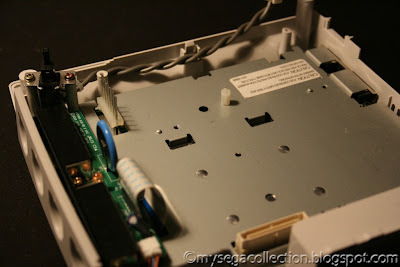 There were two basically, the SEGA USA "Dural" and the SEGA Japan "Katana". 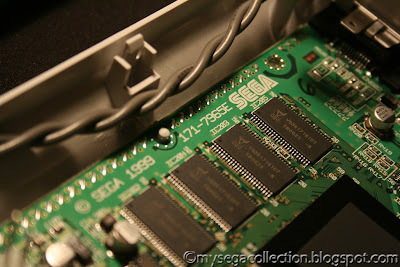 Eventually, SEGA went with the Japanese one, though both were pretty similar. It's a shame the Dreamcast didn't have a built in DVD player... but it was far too expensive in 1998. Things could have been rather different... but then again, Sega was in so much debt by 1999, even though the Dreamcast was doing quite well, there was nothing to be done against the Sony machine. You're putting a DVD player in it aren't you! 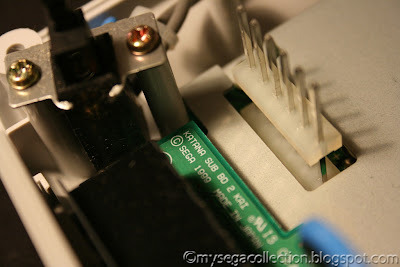 I remember finding "katana" a few years back while transferring my Dreamcast's "guts" to a clear plastic case. It crapped out 6 months later in a power surge, but was beautiful while it lasted. On a side note, Toy Commander and Shenmue II have just arrived in the post today! Good find! Can't wait to see the finished mod!